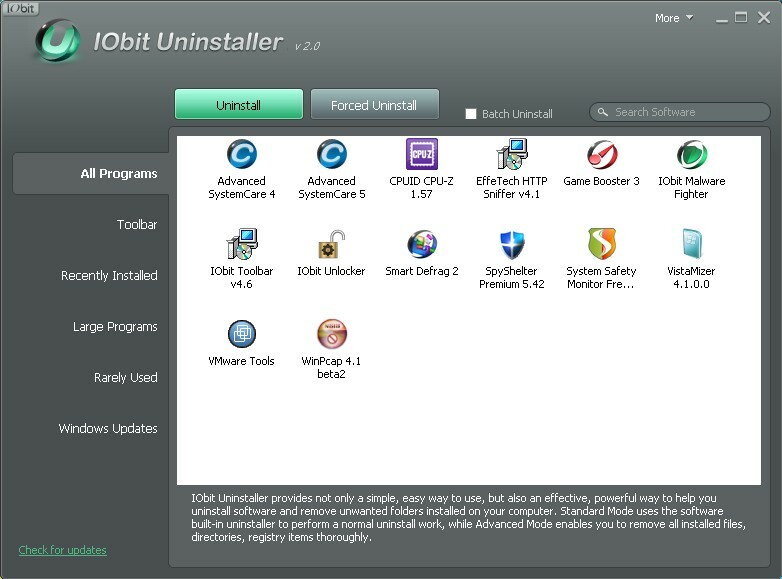 IObit Uninstaller is a pro-grade and free-to-use tool specialized in removing installed software. 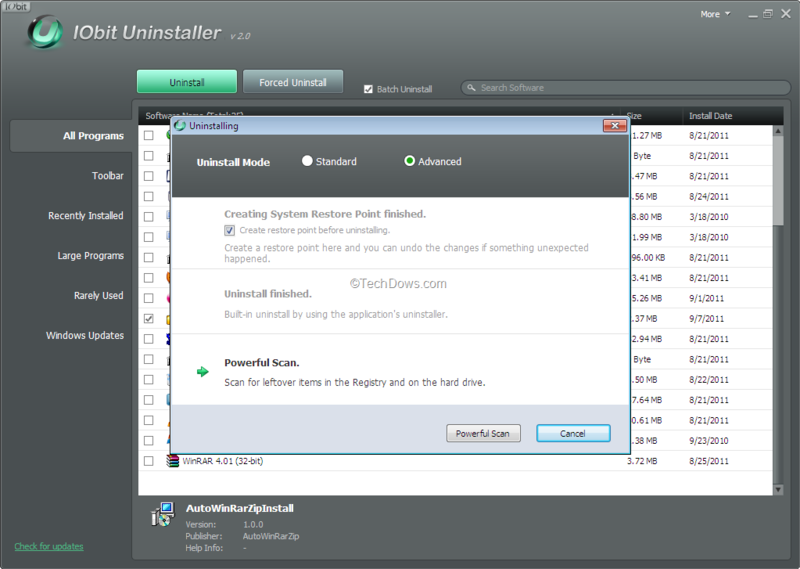 IObit Uninstaller also offers a Forced Uninstall option, which lets you specify the file path of the program to be uninstalled. 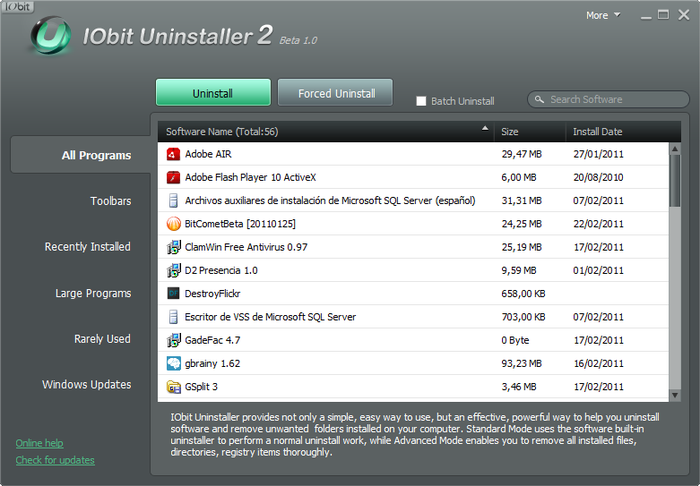 IObit Uninstaller comes with a simple and compact interface. Most part is occupied by a list of your programs, followed by size and the installation date of each. 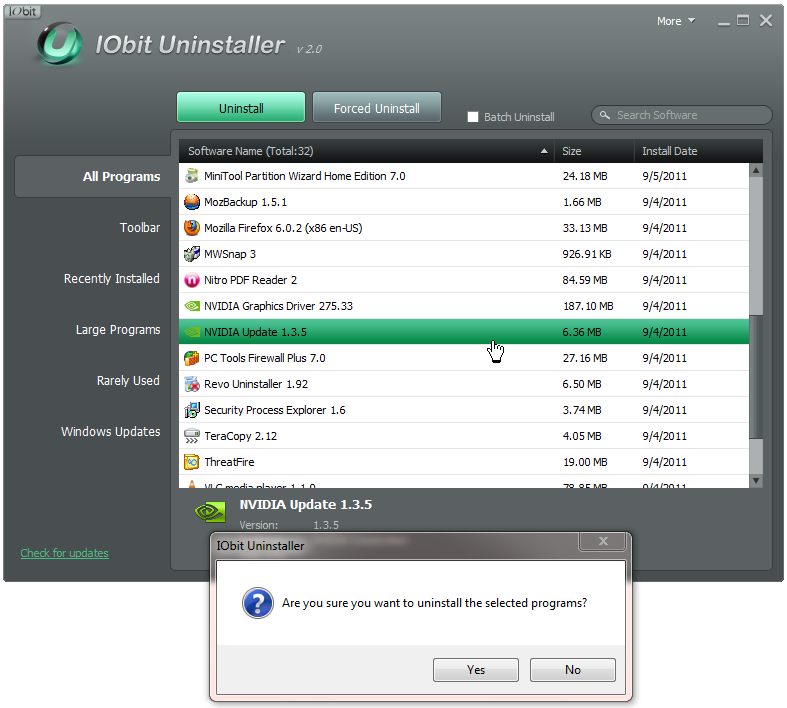 Download the IObit Uninstaller now and never be bothered again by those unwanted programs in your PC.